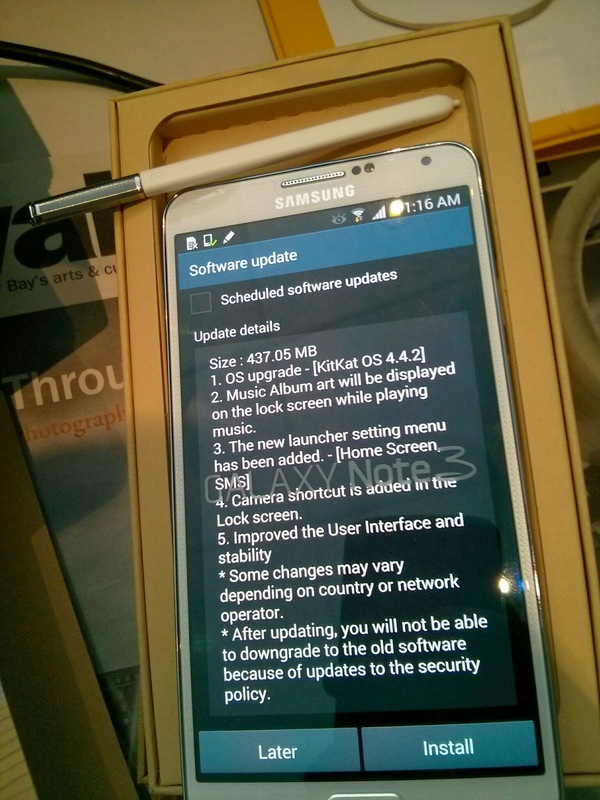 firmware update galaxy note 3 Kit Kat samsung Samsung Galaxy Note 3 gets KitKat! Samsung Galaxy Note 3 gets KitKat! The update is here for the S-Pen wielding Note 3 users! As with some of the latest updates, there's not a lot of visible features included (printing support, immersive mode, etc...). But an update is always better than no update (remember it also brings better stability and some bug fixes). So go grab the update now ... it's a 437MB update, so hopefully you've got some good WiFi connection (this one took almost an hour to download).